forest industry gradually improving, things are getting busier out in the woods. Logging and Sawmilling Journal recently caught this Hitachi ZX 210 supplied by dealer Wajax Industries, equipped with a Waratah HTH 622B processing head, working north of Kamloops for Quesnel Bros. Logging. Watch for a story on the Quesnel Bros. operation in an upcoming issue. The mountain pine beetle scourge was late in hitting the Smithers area in west central B.C., but the Wetzin’kwa Community Forest has been acting quickly to harvest and utilize as much of the infected wood as possible. Sinclar Group Forest Products in British Columbia is taking a serious cut at reducing its energy use. The company and its employees—such as those at the Apollo Forest Products sawmill in Fort St. James—were recently recognized with an award from BC Hydro for their efforts. Logger Jamie Enright has found that a TimberPro 620 carrier with the Risley Rolly II processing head is the right equipment combination to fell and process logs at the stump on the private land that he logs in southeastern Ontario. Logger Steve Pierce has been a pioneer in mechanical harvesting on Vancouver Island, and has been a long time user of Log Max heads. Pierce is finding their newest head, the Log Max 10000XT, is the perfect fit for large west coast wood. Though there are differences, there are also some striking similarities to the harvesting that goes on in Scotland with that of Canada, as Jim Stirling’s recent visit to the Scottish Highlands revealed. With the uptick in the lumber market, sawmills are looking at making improvements on the sawfiling side. 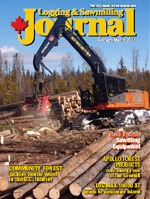 Logging and Sawmilling Journal has the latest sawfiling equipment information in this issue’s Tech Update. We should help save an endangered species—the Ontario logger, says Tony Kryzanowski. Sinclar Group Forest Products in British Columbia is taking a serious cut at reducing its energy use. The company and its committed employees—such as those at the Apollo Forest Products sawmill in Fort St. James—were recently recognized with an award from BC Hydro for their efforts. The hissing’s gone. 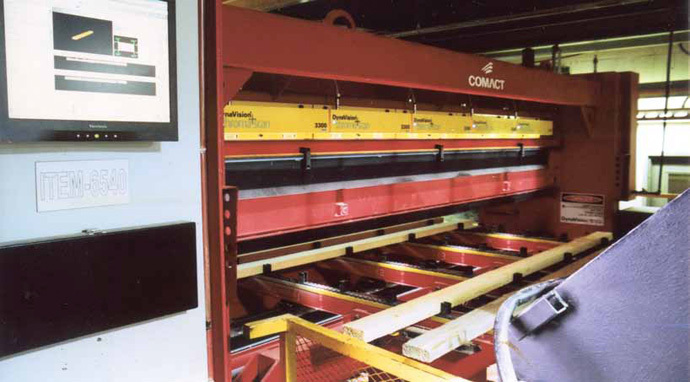 The tell-tale sound of escaping air around compressed air driven systems in the Sinclar Group Forest Products’ sawmills are rapidly being silenced. It’s one example of a systemic and employee-driven approach toward energy conservation that’s becoming part of the Sinclar Group culture. The air leak example is significant. In the quest for energy conservation, little things cumulatively amount to a great deal. Identifying and preventing air leaks at Sinclar Group’s mills accounted for a surprising 1.3 gigawatt hours of energy savings. All told, through a variety of initiatives large and small, company employees have succeeded in slashing energy consumption throughout the company’s operations by more than 25 per cent in little more than 18 months. Eldred Rahko, the Sinclar Group’s energy manager (right), predicts baseline benchmarking in each Sinclar plant will follow the trend of a progressive, slow drop in electrical energy use that is sustainable. Sinclar Group won BC Hydro’s highest award for energy conservation in its class as recognition of the achievement and became the first forest products company to be so honoured. 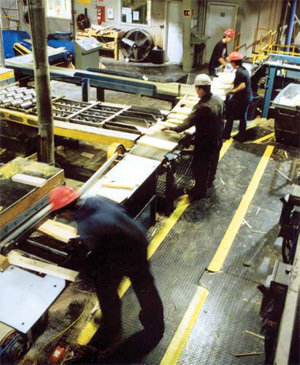 Sinclar Group Forest Products is comprised of eight wood manufacturing facilities in British Columbia’s central interior. Group members are Apollo and limited partner Tl’oh Forest Products in Fort St. James; Nechako Lumber Co, L&M Lumber Co., and Premium Pellet in Vanderhoof; and Lakeland Mills Ltd., Winton Global Lumber and Winton Global Homes in Prince George. The company’s operations in Prince George, Vanderhoof and Fort St. James are independently owned and managed by teams of dedicated professionals who strive to maintain the values of a small, family-run venture while consistently seeking opportunities for sustainable growth and innovation. Through various initiatives, including the identification and elimination of air leaks, mill heat systems and general employee awareness, the Sinclar Group as a whole has been able to reduce its electricity consumption by over 25 per cent in just over a year and half. Sinclar Group developed energy maps to identify how each of their eight facilities uses energy. Then they developed rigorous monitoring, tracking and reporting systems to ensure accountability. Not satisfied with their initial energy management assessment, they made improvements. 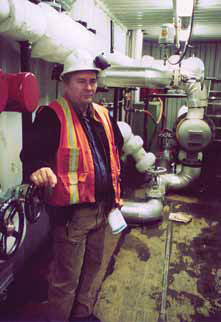 On their second assessment, they scored three stars on BC Hydro’s One-2-Five Energy Diagnostic. They are one of only two companies in the forest sector to score three stars. Sinclar Group’s energy conservation efforts are driven by a strategic goal of continuous improvement. The company takes a systematic approach, carefully monitoring consumption, making improvements and then measuring results, so that savings are not just one-time changes but are persistent. The group has been quick to recognize the benefits of forging a lasting working relationship with BC Hydro through the introduction of sustainable energy conservation practices. BC Hydro contributes generously toward sawmill capital projects which match its corporate objectives. The Crown Corporation has been mandated to achieve a 60 per cent reduction in energy consumption. Power Smart and associated programs are part of BC Hydro’s drive to achieving its goals. The other 40 per cent of the province’s predicted energy needs are to come from new generation and private energy sources. Energy conservation in a sawmill context introduces other potential benefits. Collateral advantages can positively influence factors from mill production to environmental protection. And Sinclar now has the advantage of a new form of renewable energy: the enthusiasm, experience and enterprise of its engaged employees. Eldred Rahko is the Sinclar Group’s energy manager, who with the assistance of energy teams established in each operation, helps develop and implement sustainable energy management programs. Rahko predicts baseline benchmarking in each Sinclar plant will follow the trend of a progressive, slow drop in electrical energy use that is sustainable. “And it is sustainability that is key,” he declares. It is one reason why he was confident the Group as a whole would succeed in achieving a 30 per cent energy reduction in kilowatt hours consumed and a further five per cent energy reduction in each subsequent year. The Sinclar Group developed energy maps to identify how each of their eight facilities uses energy, and then developed rigorous monitoring, tracking and reporting systems to ensure accountability. Rahko explains the employee engagement process gathers momentum in each Sinclar operation with a four day energy blitz. Essentially, it’s an awareness and education exercise resulting in the genesis of an action plan to create energy savings. The Group has devised a range of subsequent strategies from various forms of training and updating to slogans on cheques, to maintain employee interest and build on the momentum created. He adds the mill building is now a warmer and potentially more productive environment in which to work. Excess material that was being burned in the mill’s beehive burner is now sold to Pacific BioEnergy’s pellet making plant in Prince George. Apart from creating a welcome revenue stream, the shutdown of burner fans has further contributed to energy savings. BC Hydro is also funding a hydraulic study at Apollo which Rahko anticipates will stimulate benefits in safety and conservation issues along with identifying, correcting and monitoring energy saving opportunities. Rahko recommends mill managers consider energy conservation issues when purchasing new machinery for sawmills and ancillary equipment. Sinclar’s plants materializes with BC Hydro.